Well, we’ve got a new striker, a new exec, players out on loan…it’s been a week. I’d promised more, but it’s not going to happen. So. We watch, we render judgement. Personally, I don’t know how much longer Bruce has. I truly think it’s week to week. Not good enough so far, but a win will push it all back. So fresh page, c’mon you Villa boys, and we’ll worry about it all tomorrow. This entry was published on September 1, 2018 / John Clark. 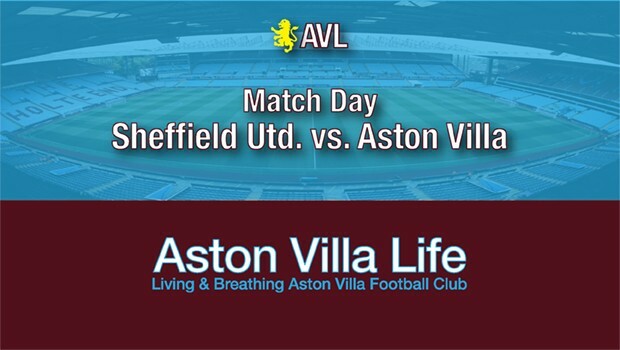 Posted in Aston Villa Blog, Match Previews and tagged "Aston Villa", "Villa". Bookmark the permalink. Well, we’ve got a new striker, a new exec, players out on loan...it’s been a week. I’d promised more, but it’s not going to happen. So. We watch, we render judgement. Well, here we are with another cup tie, and I’m intuiting a general sense of underwhelm among the faithful following the silly result Saturday against Reading. Nonetheless, it’s another opportunity to get a competitive match in, and it seems like we could use it. Maybe a good result will provide a bit of a lift for the side over the break. Morning Lifers,liked your piece Richard,sadly if you want loyalty get yourself a dog. SB as you rigjtly say is old school ,negative,restricted by fear,this spreads to the players.One up top at home against strugglers he says and I kid you not “we’ve got no one else”.In other words I don’t know how to change/adapt the way we play.Further evidence of this is the use or non use of subs.Play tight,hold on,go one down throw on forwards,fingers crossed. Bruce tactics, get it wide and hope for the best.He can’t improve what he’s got,so he just throws money at our problems.OK I won’t go on,plenty of positives in the side,but we needed a CB.When the roof is leaking you don’t repair the floorboards,if Chezzie gets injured or suspended we are screwed.Plenty of firepower all over the front 6need to see some clean sheets. He was harsh on Albert,we forget loss of form can be to do with things at home off the field in their personal lives,we forget this sometimes don’t we?Anyway just a few observations,not a full on whinge.Good luck to Bruce ,hope,we win today,in spite of him.Have a great weekend all?COYVB. It’s Saturday and matchday ! Time to get behind the boys in Claret & Blue!! If you score three, we will score four…!!! Let us hope the new recruits can inspire a Villa victory….or Bruce will be closer to the end of the road.. I echo those sentiments Brasil. Ordinarily you would look at our business and think yet again wow an all star studded cast. Bruce has said it’s like starting again, well Steve it is starting again? Again. He’s asked for 12 games to prove himself to the fans brave almost half way in but we shall see. Looks like he’s got a preferred 11 in mind and little else, pray we don’t have injuries. Another blistering start. Might as well drink my own p*ss. 3 down before HT Blades also hit the woodwork.You have no plan B Bruce,you should improve and refine plan A you clown.I think the new owners are giving him enough rope. We’re making them look like Barcelona. 3-0 at the half FFS, Sacked in the morning being sang and apparently our own fans fighting each other. Steve Bruce has moved himself to Sheffield utd’s dug out to show its not his fault. Hey B6 I wouldn’t even give him rope. Time to chuck him overboard. At three nil, are the players playing to loose? I think the tip of the ice berg was adomah’s brother having a run at Bruce. I’m starting to side with McCormack with the treatment he got. Who’s next is anyone’s guess for the Bruce doghouse. New CEO emailing Bruce his P45 right now. He can’t possibly survive this. Note to Bruce drawing at home and losing away is not the route to promotion. Ian Mark,this new CEO will not mess about,times up Steve. Games like this are difficult to come back from. Any confidence will be gone. This time tomorrow it’ll be Steve Who? makes you wonder after being thrown under the bus mid-week are the players downing tools? Never mind Abraham will probably play at LB in the next game,with Jedinak up front. Bye bye Spud. Thanks for your efforts. It didn’t work out. NSWE……please be extremely careful in choosing the next coach. Someone younger who can coach improvements into a team and inspire them is required. Options have been named. Purslow don’t give him a reference ffs. Plug,spot on someone who can coach,improve being your key word. Apparently Bruce has said on WM radio that we made 10 changes today and 5 were unfit, that is shocking after midweek. You have to laugh, only Villa can confound week on week. All those players and we can’t keep the ball for any period of time. What do they do in training and preparing for teams? Pie eating contests at body moor. Could we get Smith or Rodgers? We attract new owners, a good CEO, Bolasie. We had Terry. Surely we can get a good manager? Bruce in…!!! Bruce in…!!!! Bruce in…!!!! Away fans fighting each other…when they weren’t singing…”Your getting sacked in the morning!”.. I expected problems today, but nothing like the disaster that has happened. First matchday in years that I did not wear my Villa shirt! I hope that the board deal swiftly with the problems, and have the right man lined up. Nothing else to add really. I am just pleased that EFL highlights on Quest showed that fiasco first thus saving me watching through all the other matches only to get confirmation of how cr*p Bruce is. and then I read Elphick on loan – ?????? The long knives are out now. How long can Bruce realistically last? I think the board would have replaced him at the start, but for the outcry from the fans to keep him..!!! This is probably the moment the board have been waiting for. Clive, the fiasco surrounding our centre backs has probably cost Spud his job. It’s not just the latest c**k up letting Elf go without a replacement. The progressive teams in this division play 3 at the back with speedy wing backs playing as old fashioned wingers. To do this, you need 3 big and quick central defenders. Where are they? Tuanzebe is one……..the other two? Never adressed in 2 years under SB. He’s preferred the older guys. So we plod on with 4 at the back using Taylor, Cafu, Elmo or Tuanzebe out of position. If Jedi or Chester get injured we are in even deeper schitt than right now. Paul – I think the ‘outcry’ was more due to the fact that there was no obvious alternative available plus a fear of repeating the cycle of manager merry-go-rounds that Villa has been subject to for the last few seasons. Maybe better the devil you know attitude as after all we reached the play-offs last season. But as we have soon established there are several sides now in the Championship that can outplay Villa in its present format. We have a wealth of strikers (mostly firing blanks) and a dearth of defenders. SB is playing midfielders out of position or not selecting them as is the case of Bjarnesson who excelled for Iceland in the WC but has been denied a run in the Villa team. Morning Lifers, Bruce now needs 13 points from 6 games to be were we were last season at 12 games 4 wins and a draw, seem likely at this moment? not for me, he’s created a more disjointed team, lacking CB’s and a LB and even playing Grealish on the right to allow McGinn to play out left. I think he has got a lot of tinkering to do and historically we don’t come back well from international weeks . But in the end decided, with the fans reaction, that it was too big a risk. The media did not pluck the information out of the sky, unless it was Sky..!! For some of us, Henri, would have been a great choice. A player with vast experience of how football should be played at every level. His number two Steve Bould, a highly experienced no2 from Arsenal. He also is probably one of the most intelligent ex players around that wants to become a manager, what isn’t there to like. Lampard has already found his feet at Derby, as has Gerard at Rangers. Unfortunately it looks like Bruce is attempting to be attacking by buying attacking players, moving away from his traditional thinking of defence first footy. We now seem to have a team top heavy but with less coordination than RDM had resulting in few chances and calamity defending. During his time here I haven’t seen any evidence that Bruce has any more than a rudimentary idea about attacking play. The likes of grealish have become more combative but still lack in that final third lethality, hogan always a busy player has regressed, kodjia looks p*ssed off confronted with defences that generally bully him as they have naff all else to take their attention away. Steve Bruce is attempting to be something he’s not in order to please, after 4 windows and many players we look worse than when he started. Apparently We failed to bring in a cb as they waited for the French lad then turned to a Scottish player very late on when his club had no chance to recruit themselves another. Elphick I assume got p*ssed off with the insults and asked to go and fair play to him or it’s about wages. I believe a change of manager now would no different to keeping Bruce, as in if our ambitions promotion this season he’s looks as far away from it than any incoming manager would be. Maybe less so as enthusiasm might return. Hi guys, like u I want spud gone. He’s clueless. Someone started a petition. I signed it and shared it to Twitter and all the villa FB groups i am in. Can’t see it doing much. But you guys also signed it and shared it. Who knows? Hi Mark and all Lifers,I am disappointed and frustrated at the state of the team’s perfor,ances and results,but it’s not all Bruce’s fault.We have wasted the last 2 years and this season IMO chasing promotion.All short sighted planning,short term targets,when we could have laid the fou datioms for something special.All that seems to matter are the next 40 games or so,that’s why the youth are brushed aside and unused.I think we should ditch Bruce,he’s had time money and support,several transfer wimdows to get us up.He has noow turned on the players and started the blame game.I would happily stay in this division another 2 seasons if I kmew we had a structure in place to build for the next few decades instead of just working towards one afternoon next May. Hi Roger, can’t say I like these polls much, not always the best idea to pressure the management when we don’t know whats going on anyway? They’ll come to there conclusions in time and I don’t think Bruce is doing himself any favours by distancing himself and blaming the players, that won’t go unnoticed. Just listened to Warnock on talksport saying they inspired him to have a go at Arsenal and they lost 2-3, he said he enjoyed the game and hoped the fans did, he’s much rather that they went away talking about how good a game it was. I have to say he and many other managers just make more sense to me than anything I have heard from SB in his time here, Just mentioning “Crisis” and “thats what its like at this club” is not the way to go about it imo, just ignores the fact he’s into a 3rd season and could just as easily built a young side in that time, instead the loans appear to be the mainstays yet again and the rest ostracised. Yeah mark, lol, normally I don’t waste my time. But spud is a cockwomble, and really need to go. If he doesn’t win 19 of the first 15 games hell be gone anyway. I mean come on, blaming the players, when he picks them? Brasil- hello mate I agree its not his fault as such, he’s here for one reason only and times have changed, the managements focus on younger players says he’s not the man, he has no history in that approach. His recent crowing about promotions and getting to the final last season just says to me he thinks that was an achievement with our jumble of superstars for this league. Also the we were to old last season ( surprised not ) put forward as a mistake by him continually brushes past the lack of game plan. IMO he lacked the Base to play his way when he came in to such an extent that he really can’t play his way, whats shocking is even after so many windows he’s failed to rectify it despite and awful lot spent for this league, at this moment Cardiffs squad worth £94m after spending £30m ours worth £105m after spending £8m. The demand from this club is more attacking football and on that he just does not deliver consistently, something his previous clubs bar Sunderland demanded. I agree he does deserve to go but I can’t believe the owners don’t know this, it just might be that they didn’t expect things to be this lame so early and having just appointed the CEO. Might have to wait to around the 11-12 game mark unless it improves drastically. On the other hand I hope they had more sense than to buy into the 4 promotions spiel. MOMS is calling for Oscar Garcia as a replacement, the article echoes what everyone knows – SB doesn’t understand tactics or have a plan B. Just got some internet after 5 days, & have not got over the shock of reading what happened. I’m thinking that we’ve got a reject from the knackers yard as manager, who’s also been rejected by the dog food factory. I’m also thinking Bruce left last season & left his dart playing twin brother behind. Was watching Monaco v Marseille last night on terrestial, with Amavi. By far the better team but contrived to completely badly c**k up a lead, I think their goalie was loaned by us. Plus Amavi was his usual cr*p at throw-ins, but otherwise anonymous. Congrats JG, glad to see somebody’s winning. Villalore- good article I think they pretty much have it right with that View and even the manager. Isn’t Bruce’s start to this season so reminiscent of our final one in the Premiership under Sherwood, when there were so many team changes every week, the fans could not keep up with it, never mind the players! Everyone we have played so far has had a settled team and a sensible plan and set of tactics to play to. Love the MOMS article, and applaud the suggestion of Garcia. Excellent article by MOMS, must copy n paste the link for the remaining Bruce must stay gang, stability is fine when there is evident progression and as JL pops into my mind to suggest play off final is progression, the progression I seek is the standard of our play, there were glimpses last year like the Wolves game but immediately Bruce tinkered with the team citing tiredness. JL’s other sign of progression was the stability in the dressing room and I don’t doubt we’ve come along way from the squad that circled the relegation plughole. 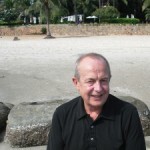 However, the new found stability has given way to public pronouncements on specific players that could and should have been kept in-house, a futile attempt to put Jedi into a CB role, the signing off on the release of Elphick on loan despite no cover, playing players out of position and an inability to produce a consistent level of performance. It’s the level of performance that is being driven by players who no longer want Bruce as manager which played it’s part in Saturday’s result, I only hope the owners are clued in enough to see the writing on the wall and put Agnew in temp charge and cast the net for a new manager. DOR- The performance has been the issue for to long now, never quite being the true sum of the parts/players assembled even when appearing to be doing ok.
For me the biggest shock is letting Elphick go without cover, and not only that but not playing him over Jedinak? Then there is the talk about being light on the wings, getting two 1st team starters on loan and attempting to loan out both our own wingers??? Adomahs Brother expressing his own brothers feelings for him and probably fed to him. Slagging off the players mid-week and preferring to play injured players rather than give them a second chance? almost like he’s annoyed at them asking to play, one of them Delaet was proclaimed our best player by Bruce pre-season played on the wing!! now the obvious thing is he is committed to playing Tuenzabe and now Bolasie so thats Delaets options gone. The team is in need of an attack minded coach, it has a massive amount of talent going forward with no plan but has a very porous defence that requires the rest of the team to bail them out (as they did last season). Bruce is in no mans land. The Whole Bruce is a man manager is a myth too imo, Steve Bruce had to Bring in Snodgrass and JT last season to paper over the lack of a plan and cohesion, big personalities to give direction where Bruce fails. I see the rubbish the bloke talks each presser, god knows what the players think to team talks. John Terry hinting on Twitter that he may be back…..
could be the man who saves Bruce, or possibly replaces him…player/manager alongside Agnew, who seems to dropped into the background, while Calderwood seems back in Bruce’s favour this season. Another great MOMS article….which are better than the Birmingham M ail..!! PP- yes they are honest a rarity in the Media,they actually give a cr*p.